John put up lights at the entrance deck and at the dining room deck. 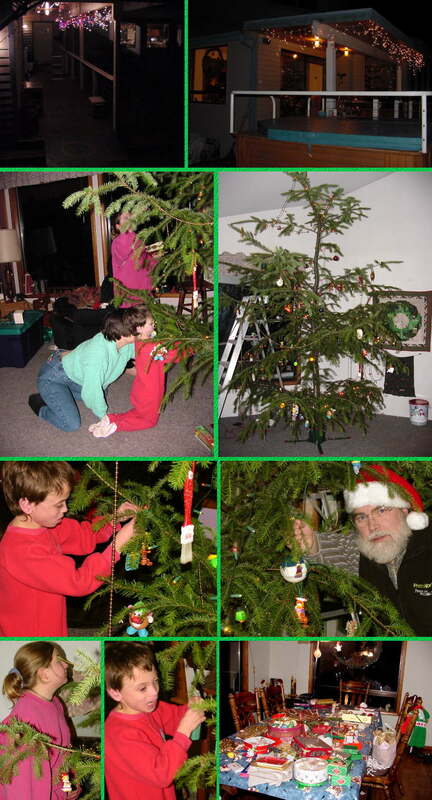 Connie, Jan and Gio begin decorating the very tall tree John and Phil selected. Gio hangs his favorite "Tigger" ornament. Norm hangs his new glass ball that was hand-painted on the inside surface in China. The dining room table is overflowing with decorations for the tree.